It has been a tough last week. It was tougher than usual because the winds of change blew at the behest of change-mongers who were absolutely unaware and unconcerned about the consequences of that change. Revolution, Bangladesh Model, inhouse change, new and united factions of the good old Muslim League and martial law were all uttered in the same breath as if getting the present set of rulers out of sight was solution per se. The deferment of the D-day in the Executive-Judiciary confrontation cannot assuage the people's anxieties for the simple reason that the factors contributing to the crisis are still very much in evidence. The only hopeful sign is that the PPP leadership, the principal party in the ruling coalition, has at last realised the need for stock-taking. It will be good not only for the PPP and the government as a whole but also for the future of Pakistan's latest experiment in democracy if the current state of affairs is subjected to a dispassionate appraisal, however agonising the process may be. One way of looking at the role of the superior judiciary since its restoration in March 2009 is within the context of the power equation between different institutions of the state viz. the army, the elected government and the judiciary. The history of relationship between these institutions has always been uneasy due to the unresolved structural flaws of the Pakistani state. Within this institutional imbalance, the judiciary has often come to the aid of the wrong [read powerful] side. Few people would miss the irony contained in the attempt to analyse military's role in promoting Project Democracy in Pakistan in the last two and a half years. Many would dismiss it in the light of the most recent meeting of the troika and the all too apparent role of the army chief in averting the row between the government and the judiciary. Pakistan's fragile democracy is on trial again. It would require a collective effort on the part of democratic political forces to keep it on track. However, most political parties continue to look at the unstable situation in the country from the perspective of their own interest rather than for the collective good of the nation. Those forming part of the PPP-led coalition government see nothing wrong even if Pakistan is in dire straits due to a host of factors, one being the incompetence and corruption of the ruling elite. Of late, the media in Pakistan, chiefly the electronic media, has come under fire for sensationalising (if not skewing) facts, provoking catfights among politicians and statesmen, and holding 'media trials' in its everyday primetime talk shows. And everything seemed to have gelled together in the last ten days to the advantage of these change-mongers. The media did all it possibly could to blend the damage caused by floods with charges of corruption, inertia, bad governance and judiciary's tough reminders to create a stalemate-like situation which, for the time being, is mercifully averted. Thus providing us time to take a few steps back and assess the performance of various stakeholders in preserving democracy. The government at this point in time has completed two and a half years in job, which is exactly half its tenure. This is a good time to reflect on who contributed what to save Project Democracy. We at TNS counted five institutions which we think are the potential agents of change in our context -- parliament/government, military, judiciary, political parties and media, a part of which has been pushed among the list of change-mongers. The analyses below deal at length with what did these institutions do or not do in the past two and a half years to further the cause of democracy. There are of course structural concerns which place democracy in a quandary. But there is a need to state these concerns again. And again. This is a time to question all those who demonise politics as they have done in the last sixty three years because it is to politics that we must return. The corrective mechanisms have been evolved and essentially lie in the continuation of the system. Not in aborting it or suggesting alternatives time and again. As for the government, it cannot take refuge behind "the continuation of system" argument to justify its inaction or poor performance. Of course, it is difficult to perforce tell a government to perform in a certain manner because again the urge or compulsion to perform is inherent in the system itself. The political forces must return to the electorate which shall hold them accountable or bring them back to power. But while the change-mongers need to be told to wait for the elections to see the change they desperately seek, the government does need a different piece of advice. While in power, it must involve the people, the masses, to develop a stake in the system. So that in times like these, it doesn't have to look at the military to grant the country democracy. There should be enough people on the streets ready to fight and get it back. Let it be understood at the outset that along with the government democracy too is on trial. In the main two basic questions are to be answered: how well or otherwise has the PPP-led government availed of the chances the change in 2008 had offered? And what are the prospects of saving another sapling of democratic governance from withering away? This government was formed in a season of high hopes generated by the defeat of the king's party at the polls, the exit of the strong man who had made a mockery of constitutionalism, and the public belief that it had played a key role in defending the independence of the judiciary. Naturally the people's expectations of expeditious removal of their grievances also rose quite high, thereby making the government's task somewhat more difficult than normal on occasions of change of guard. All knowledgeable observers knew that no party had answers to all the problems Pakistan faced in the summer of 2008, but it is doubtful if the government fully comprehended the challenges it faced. While making the right kind of noises about fighting the quasi-religious militancy or the imperatives of peaceful relations with India it did not realise the risk in underestimating the strength of the lobbies operating on contradictory assumptions. A cursory review of the government's work over its 30 months in office shows several creditable accomplishments – the finalisation of the progressive NFC award, the 18th amendment, pro-women legislation, et al. But the government should have realised that a shift from the unitary to the federal system of government will start yielding benefits to the common citizens only after a considerably long period and the constituency that hailed pro-women legislation or the ratification of the key human rights covenants was much smaller than the huge constituency of the have-nots who wanted material advancement before anything else. As a result, it lost more friends than the new ones it possibly made. The PPP in particular should have realised that it has always been treated as an outsider by the country's socio-economic and political elite. All previous PPP governments came to grief because they treated their electoral victory and parliamentary majority as accession to power. The present government will have to work hard to avoid following suit; that is, if any time is left for that. All civilian governments formed after the Ayub and Yahya regimes had poisoned the people's minds by demonising politicians and branding politics as pestilence -- to paraphrase one of Suhrawardy's most profound observations, harmed themselves by failing to root out the legacy of authoritarianism. The hopes that the 2008 government might break the rule did not come true, at least not in the manner and to the extent the citizens expected. Besides, the government does not seem to have realised that the circumstances in which Mohtarma Benazir Bhutto and Mian Nawaz Sharif had been allowed to return home and bid for power required them to pay as much attention, if not more, to their vulnerabilities as they did to their strengths. 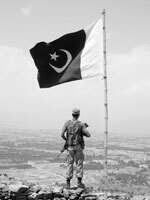 If the PPP-led coalition was aware that it could at best expect nominal support from the country's dominant elite then it should have given its baggage a double security check, held back members of the cast known for their capacity to irritate the audience and avoided giving its adversaries higher ground on the battlefield. This mattered a great deal, especially in view of the charges of its failure to offer a clean and honest administration. It could not afford to ignore the historical lesson that public perception of wrongdoing is more dangerous for an authority than legal evidence of its culpability. A government whose sole instrument of rule is parliament must act only through parliament. The parliament should have been kept in session much longer than the minimum period prescribed in the constitution. It was essential to solve all problems of governance through the parliament. The examples set by developing consensus on Gilgit-Baltistan or fight against militants were worth replication in other areas. At the same time if there was anything for which it was not possible to secure the parliament's approval, that enterprise should have been given up. The fortunes of the government might have been different if, instead of using the parliament only as a means of legitimising its rule, it had used the elected houses to address the problems of the country, including relations with other organs of the state and the permanent establishment. However, there is little point in telling the government how it should have functioned in its own interest. Difficult though it may appear the government could still survive if it was prepared to pay the costs, if it could look beyond the power-brokers and find the means to win back the allegiance of the masses. But the departure or survival of the government is not the main issue now; the central issue is whether the democratic experiment will survive the present strains. The democratic system has always been vulnerable in Pakistan because of a lack of a strong tradition to sustain it. The state did not play its part in promoting democratic norms that it was expected to fill, following the acceptance of all people's right to self-rule regardless of their capacity or training for the task. Basically, its faults lie in the protection of socio-economic relations totally hostile to democratic freedoms and rights (that is, preservation of landlords' privileges and the demeaning status of scheduled castes, gender inequality and discrimination on the basis of belief). Further, authoritarian rulers succeeded in persuading a large number of people to accept Faustian compacts. Not only the masses but many political groups are prepared to accept as saviours those who open their brief by repudiating the majesty of parliament on grounds of belief or security. Since the people of Pakistan have not had opportunities of seeing democracy in action for a reasonably long period, despite their matchless record of risking their lives for it every nine or 10 years, they have a hazy, romantic notion of the system. They will take time to learn why democracy is described as a messy affair in which pragmatism is often preferred to idealism. Just as they tend to equate law with justice they confuse democracy with morality. The fact that democratic politics meets moral standards only after attaining maturity does not affect its standing as the best form of governance known to humankind (as, among other things, the alternative prescriptions never acquire moral sanction). In view of frequent disruption of the journey towards democratic politics, every time a civilian regime is unable to satisfy popular expectations the democratic system itself suffers a decline in the eyes of the masses. And there always are elements that find denigration of democratic politics rewarding. Such efforts are already visible. What makes the present situation far more hazardous than similar crises in the past is the presence, in considerable strength, of elements capable of exploiting people's belief to put an end to whatever progress Pakistan has made in coming to terms with democratic constitutionalism. Thus there is a serious danger that if the state is pushed back into 1958 or '77, no force will be able to defend its integrity or save the people from a catastrophe of unimaginable magnitude. Pakistan cannot pay the price of abandoning even what is admittedly an imperfect dispensation. It is in this context, then, that PPP ministers and supporters point out the varying response of the courts during military regimes and elected governments. The supporters of the restored judiciary see in it not just a catalyst of change but an agent of revolution which is going to cure all ills including the ones pertaining to a messy democratic system. This has, unfortunately, not happened. Instead what we see is judicial activism leading to greater political uncertainty. As a result, there has been an expanding penetration of superior judiciary into the realm of politics (decision in the NRO case with emphasis on reviving cases against a particular set of politicians), economy (such as decisions in Carbon Surcharge case questioning the wisdom of the parliament), market (sugar price case, and now loans written off cases), and even foreign policy and international law aspects (such as Lahore High Court's direction to the foreign ministry to write letter to the US state department in the Aafia Siddiqui case). This expanding role of the judiciary is not a new phenomenon; several other countries have experienced this in their own context. For example, the Indian courts in 1970s and '80s went to the extent of practically rewriting laws and the constitution (such as the Kesavananda Bharti and the Advocates on Record cases) and even tried to take over the executive functions in other cases. These judicial trends have been discussed at length and it has been pointed out that such activism occurred mainly due to the crisis of governance and a belief that the courts could somehow supplement politics and law. The proponents of judicial activism believe that such a course is preferable to political process because the legal system is perceived by certain segments of society as more 'efficient' and 'just' than the political system. This misplaced hope in judicial activism proved wrong in the Indian case because there are limits to the extent the judiciary could go and redress the wrongs and make the political process work efficiently and justly. Over the years, the erstwhile Indian judicial activism has tempered down to a great extent. But as Faisal Siddiqui pointed out (Dawn, September 24, 2010) what we are facing is not merely a crisis of governance; it is a state structure which is fast losing legitimacy, moral authority, and monopoly over violence. This did not happen in India. The most obvious consequence of the present judicial activism in Pakistan is that, after military, the judiciary is also being seen as another player in the political arena ("politicians in judicial robes"). As a consequence, the judiciary must engineer and maintain its own constituency. Therefore, we heard the chief justice of Lahore High Court calling lawyers the harawal dasta (vanguard) of the judiciary. This has in effect meant, for instance, that when a district judge in Lahore was attacked by lawyers, the administration, the bar council or the high court did not take any action against the perpetrators. Similarly, when a group of lawyers entered the court room of a high court judge demanding ban on Facebook and other internet websites, the judge had to clamp the ban, even though the constitution and the law did not permit it. In order to maintain its present status -- judges as social and political reformers -- the judiciary must also preserve and perpetuate itself. Thus we see a resistance among the judges against the new mechanism of appointments provided under the new Article 175 A of the Constitution. Similarly, in the case of NRO and the President Zardari's Swiss accounts, the court has gone beyond its limits and ordered for something that ought to have been left to the political players. Even if the moral and legal argument is granted, the focus is selective and may have grave consequences for the nascent democratic system. At the same time, the excesses of the security establishment are rarely touched upon. For example, the case of missing persons which was touted as one major reason the Chief Justice Iftikhar Mohammad Chaudhry fell out with the previous regime has been put aside. It seems that if the superior judiciary keeps pressing for its revolutionary role, it may cause the present political experiment to crumble. There is a danger that the judicial institutions may also come down under the weight of their own inherent contradictions. The framers of the constitution that relied on the theory of separation of powers had built their case on the shared political wisdom of humanity. The proponents of judicial activism need to do some serious rethinking. The analysis is indeed difficult considering the structural imbalance that casts permanent shadows on the country's political landscape. It is only natural to assume that if this institutional imbalance is to stay, democracy may never gain the desired ground. How then do you even begin to think the military may have a role in promoting democracy in a country like Pakistan? Because, there was a time, two-and-a-half years ago, when it seemed the military was forced to have second thoughts. The first nine months of the Lawyers' Movement revolved around rule of law as well as castigation of military's role. Impolite slogans about "Kernal", "Gernal" and "GHQ" echoing in the streets of none other than Punjab were aimed as much at the institution as they were at the person of General Pervez Musharraf. The military's immediate response was, of course, to make a scapegoat out of Musharraf in order to 'save' the institution. The outbursts of anger in a meeting of ex-servicemen society in Rawalpindi, that I had a chance to attend a little before the election in January 2008, were an indication that the principled decision about Musharraf's ouster had already been taken, months before he actually left the scene. The next army chief, a professional soldier in the shape of Gen. Ashfaq Parvez Kayani, created the right noises in his meetings with editors before the 2008 election, claiming he was not interested in politics. And yet it is the person of the army chief that gets the credit for letting the country experience a free and fair election. Soon after the 2008 election, he declared to withdraw a certain number of military personnel from civilian institutions. At one point, he even directed the Inter Services Intelligence (ISI) to stay away from politicians. This was a time of great hopes. It was genuinely thought the static state structure called military may create space for political institutions and let the political process move on. Unfortunately, it didn't take long for the military to convey it wanted to retain its firm hold on foreign policy. In July '08, the prime minister before his scheduled visit to the United States issued a directive to bring the ISI under the control of the Ministry of Interior, a long-held demand of major political forces as well as the US which was not happy with what it called ISI's double-game in Afghanistan. The decision had to be withdrawn within hours under pressure from Pakistan army. Serious political analysts knew the honeymoon with democracy was over. But the civilian government let this pass as if nothing happened. This was a time the country was in the grip of deadliest suicide attacks, originating in FATA and Swat. The bigger issue, other than security forces being their prime target, was the lack of political consensus against extremists waging these attacks. In October 2008, in what was seen as an extraordinary step, the military gave a classified briefing to a special session of the parliament. The session was supposed to inform the legislators about the level of threat and ask for parliament's approval to launch formal combat operations against the militants. The parliament gave the approval. But the fact that the briefing was called by the president and attended by the army chief himself was projected by the political government as a huge step forward in curtailing the scope of civil-military imbalance. Only to be followed by two steps backwards. In November '08 came the Mumbai attacks and India immediately pointed accusatory fingers at Pakistan, implying the terrorists may have sailed from Karachi. In the highly tense moments, Prime Minister Gillani while talking to his Indian counterpart offered to send the ISI chief to hold a joint inquiry. This was a goodwill gesture but once again the civilian government was forced to take back its decision. This time everybody knew who stopped him. There was obviously no civilian ownership of the subsequent proceedings on Mumbai and Pakistan's take on them, the foreign minister Qureshi known to have already sold his soul to you know who. It was only a matter of time then. The army chief got his chance in March 2009 to convey to the world who was incharge. Everyone knew the chief justice was restored by a not-so-mysterious telephone call, no matter what the prime minister said then or still says. Hail the military for having averted a bloody Long March. The entire years of 2009 and as much of 2010 have been spent hearing a whispering campaign against the elected government's tales of corruption which, in the absence of solid evidence, remain imagined at best. The deadlines for the government's ouster have been pushed ahead but never vanished from the scene. According to some people, this atmosphere of uncertainty, an eerie reminder of 1990s, owes a lot to the "mujahidana conduct" of a group of journalists and nothing more. Others, including this scribe, beg to differ. The civilian government's worst embarrassment came when it thought it had managed to clinch the best possible deal with the Americans in the form of Kerry Lugar Bill. A grant, not a loan, of 1.5billion dollars annually for development projects for the next five years. The army was reportedly "greatly angered" by the "degrading" language used in the Bill about Pakistan's military and security agencies. PML-N took a strong position and the chief minister of Punjab Mian Shahbaz Sharif is said to have met the army chief to assure him of his party's support. An unusual corps commanders' meeting on the issue, in an equally unusual press statement, expressed its "serious concerns" on some clauses of the bill. The clauses related to the "country's nuclear programme, suggestions of Pakistan's support for cross border militancy and civilian government's role in military promotions and appointment." The control on military appointments and promotions was effectively curtailed when the "most professional institution" headed by an equally professional soldier saw a volley of extensions granted to senior officers of the military culminating in the unprecedented three years extension for the COAS himself. Good governance, it seems, is the prerogative of political dispensations only. Meanwhile, every fiscal year sees a hike in the country's defence budget, approved by the parliament without discussion. The 25 percent hike this year translates into an increase of Rs110 billion. It is hard for a democracy to function without the necessary financial resources to distribute among different linguistic and socio-economic groups. This sharing of resources is the essence of democracy; that is why the military may find itself incapable of promoting it. Most parties in the opposition, particularly the ones that boycotted the 2008 election and aren't represented in the parliament, would prefer the fall of the government so that fresh general election is held. In fact, the parties in the boycott camp are arguing that their decision not to take part in the poll has been vindicated as the government that emerged as a result of the last general election had failed to deliver. An evaluation of the performance of the major political parties represented in the assemblies would be in order two and a half years after the 2008 election. First, one needs to review the role of the parties that are allies of the PPP and are part of the coalition government in the centre or the provinces. Altaf Hussain's Muttahida Qaumi Movement (MQM), which prides itself on being the third largest political party in terms of assembly seats it won in the previous general election, continues to act in a way that sometimes it becomes difficult to decide whether it is part of the government or opposition. It is enjoying power in the Centre and in its power-base in Sindh, where it possesses urban street-power and is often able to veto government decisions. The PPP leadership is kept forever on its toes as Altaf Hussain, remote-controlling the MQM from his base in London, continues to make surprise moves and even calls for a 'revolution' like the one the French peasants and workers organised to overthrow the monarchy in France. His appeal to 'patriotic generals' to cleanse Pakistan's politics of corrupt elements created worries in government circles that the MQM would be the first PPP ally to join forces with those trying to bring a political change in the country. Another major ally of the PPP is the Awami National Party (ANP), which represents the Pakhtun people and is not only part of the federal government but also the provincial governments in Khyber-Pakhtunkhwa, Sindh and Balochistan. The two parties have come close to each other under the leadership of Asif Ali Zardari and AsfandyarWali Khan and the former has often snubbed his own party leaders whenever they complain about non-cooperation by Chief Minister Ameer Haider Hoti and other ANP leaders who dominate their coalition government in KP. The PPP has helped the ANP on issues central to its nationalist stand on issues including the renaming of the North-West Frontier Province (NWFP) as Khyber-Pakhtunkhwa, shelving the Kalabagh Dam project, granting maximum autonomy to the provinces and ignoring the demand for Hazara province. The two parties have also stayed together in the fight against militancy and extremism even though the ANP people often complain that the PPP leaders in the province have avoided harm at the hands of the militants by failing to take as firm a stand against the Taliban as they have done. There is no doubt that the ANP has for the first time become closely aligned to the military due to their joint battle against the Taliban militants, but Asfandyar Wali and his party would not break their alliance with the PPP as this is the best option for it in the circumstances. Joining hands with the PML-N, the other major political party in the country after the PPP, doesn't suit the ANP due to their divergent stand on issues and also on account of their past animosity. Maulana Fazlur Rahman's JUI-F is another ally of the ruling PPP and its nominees are ministers in both the federal and Balochistan government. The party is in the opposition to the ANP-PPP coalition government in KP. This anomalous situation is like a repeat performance by the JUI-F, which as the dominant party in the six-party Islamic alliance of MMA was acting as the opposition after the 2002 general election against the PML-Q-led federal government set up by General Pervez Musharraf and at the same time ruling the then NWFP and also Balochistan where the ruling coalition included both the MMA and PML-Q. Despite being part of the PPP-led coalition government in the Centre and enjoying official position as chairman of the National Assembly's Kashmir committee, Maulana Fazlur Rahman is sometimes very critical of the rulers. Critics aren't convinced that the Maulana would easily give up the perks that are available to him and his party as part of the ruling coalition even though this is a sticking point in reviving the MMA because Jamaat-i-Islami and the smaller components of that alliance first want the JUI-F to quit the PPP-headed government. The PML-Q is a divided house and could suffer more splits once Musharraf's new party, the All Pakistan Muslim League, is launched. Its role in national politics has been diminishing due to its shrinking strength. However, even with its reduced numbers in the assemblies, the PML-Q, along with the other Muslim League factions, would be able to play some role in the power-games once serious moves are launched to oust the PPP government. The PML-N by far has played the most important role in ensuring that the democratic government which came into being following the 2008 election isn't destabilised. In fact, Nawaz Sharif and his party have been accused of acting as a 'friendly opposition' due to its vested interest to remain in power in Punjab, Pakistan's biggest province where a victory in polls could deliver the whole country to a political party. 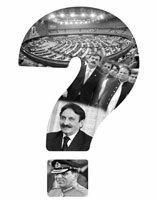 Despite its uneasy relationship with President Zardari and the PPP, the PML-N hasn't yet made any move to destabilise the federal government. It has also resisted the temptation of forcing mid-term poll, which it could possibly win due to Nawaz Sharif's popularity and Asif Zardari's unpopularity. However, there are now growing signs that the PML-N would no longer be averse to a change in government through constitutional means. Media has no right to create frenzy, in its rush to fight a war of TRPs, argue those who believe it should act more responsibly. These are the very intellectual, political and, also, certain journalist circles that like to debate media's 'right' (or lack of it) to chastise the government. They even accuse the media of taking sides or, in more clear terms, becoming party to most feuds. Such criticism has been directed especially towards a bunch of TV anchorpersons that has come up in recent times on different private channels. Their "anchrocracy" -- to quote well-respected writer and columnist Munno Bhai -- is up for an unofficial, albeit public, accountability, it seems. Dr Mehdi Hasan, head of the School of Journalism at a reputed private university and also the chairman of Human Rights Commission of Pakistan (HRCP), says the media, especially the electronic media, has exploited its "role of the gatekeeper": "In Communication's theory of social responsibility, a gatekeeper is a filter that controls information coming into and going out of the organisation; it's a very responsible role," he tells TNS. He contends that the present-day media is too negative to be able to perform this role. Evaluating the job of the anchorpersons, Dr Hasan says, "They have every right to criticise the government, but many a time they do it without proper research or evidence and without realising how their 'declarations' will be received by the general public." He makes a fine distinction between the electronic and the print media, saying that the latter is more inclined towards "statement journalism" where "you are mostly quoting different stakeholders and don't have a fair access to information. "The role of TV became increasingly more subjective after the 2007 removal of the Chief Justice of Pakistan by Pervez Musharraf followed by the promulgation of emergency," he adds. Dr Hasan also believes the electronic media has assumed the role of "the opposition [party] in the parliament. …It [the media] ends up giving free publicity to different stakeholders and their party agendas, which is wrong." He stresses upon the need for a constructive and objective self-analysis on the part of the media. "There should be a neutrality, authenticity and fact-checking of the news items before these are aired." To illustrate his point, Dr Hasan speaks of how the coverage of the recent floods was "disappointing, to say the least. The TV channels almost reduced the common victims to the stature of beggars and painted a very bleak picture for them". On the other hand, Nusrat Javed defends the performance of the media. A veteran journalist and the host of a popular talk show on TV, he says that "…[a TV talk show] has got to be dramatic in its outlook and presentation. It cannot be dull. In these times when you have a slew of channels churning out one attractive programme after another, you cannot engage an audience's attention without giving them something dramatic. Your show has to have some glitter, some action, some tension etc. "But it also provides the agitated viewers a sort of a catharsis." He strongly rejects the impression that media is responsible for 'derailing' the system: "If media was so powerful, Jamshaid Dasti (member of National Assembly who won the recent by-election despite serious criticism of him by the media) would not have won the seat. "There is no doubt that the private media has brought a revolution in the country and won a huge viewership, but whether some of our colleagues are following the basic journalistic norms or not can still be debated," says Mazhar Abbas, senior journalist and former Secretary General, Pakistan Federal Union of Journalists. "As media people we must avoid use of derogatory, abusive language. Even if some guests [on our TV shows] use such language, it is the responsibility of the host to exercise control. …It certainly gets programmes good ratings but at the cost of good journalism. "We must understand that we are neither astrologers nor judges, we are journalists and should remain so." Talking of language issues, he says: "Words commonly used in print such as 'alleged' have almost eroded. It's quite difficult for the desk to make a distinction between normal news, latest news and breaking news. In many cases, our reporters and anchors are overcome with emotion." Mazhar rejects criticism from the house of the president or "his cronies", saying that the same media had Zardari or the opposition's blessings when Musharraf was in power. Government and media are traditionally considered adversaries, as it is the responsibility of the media to expose the government's failings, he says. "I believe media has played its due role and come out with stories based on facts. Had it been mere speculative, many journalists would be facing litigation. In the last two and a half years, media has raised scores of social issues and drawn the attention of the government, administration and judiciary towards them. In turn, the Supreme Court and the High Courts took suo moto notices. …[for instance,] the ugly incident of two brothers killed in Sialkot. "Private TV channels are here to stay and no one can suppress the media now, but if we fail to address the basic issues, media in the coming years may lose its charm and responsibility which is so important for free media," he concludes.